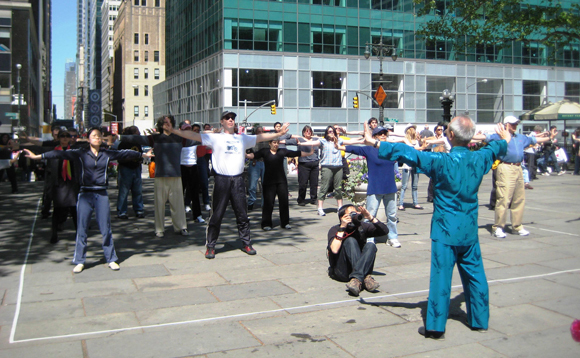 It's time to exercise your mind and body at Bryant Park, because our free tai chi and yoga classes begin next week. The health benefits of tai chi are vast. Regular practice improves flexibility, strengthens joints and muscles, and promotes the integration of body, mind and spirit. Bryant Park Tai Chi classes are taught by instructors from the Tai Chi Chuan Center for students of all ages and experience levels. Weekend Bonus! Kick off the season at World Tai Chi Day this Saturday. Master Chu and students of the Tai Chi Chuan Center will lead a continuous demonstration of the tai chi short form and free classes, open to all. 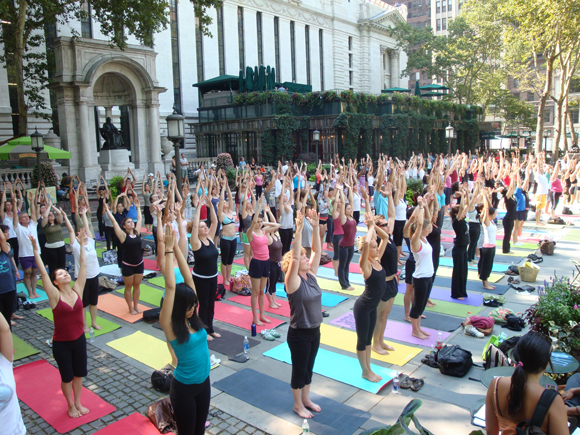 Produced in partnership with lululemon athletica, Bryant Park Yoga classes are taught by expert instructors from studios throughout New York City. Each instructor brings a different teaching style to the open-level vinyasa flow classes. Mats are provided, but you are welcome to bring your own.